The plugin can be configured to use Connected mode. 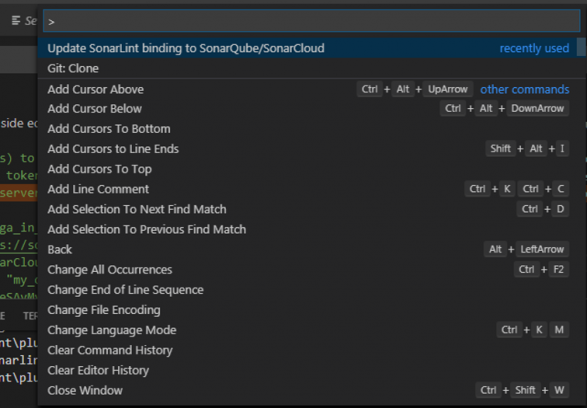 In this case, rules will be synchronized from your SonarQube server. Follow instructions bellow to get your VSCode connected to your CachéQuality server. You will need a token to setup the extension with your CachéQuality server. To generate a token in SonarQube, go to User > My Account > Security. Your existing tokens are listed here, each with a Revoke button. You will need to refer to your server using your Server ID. 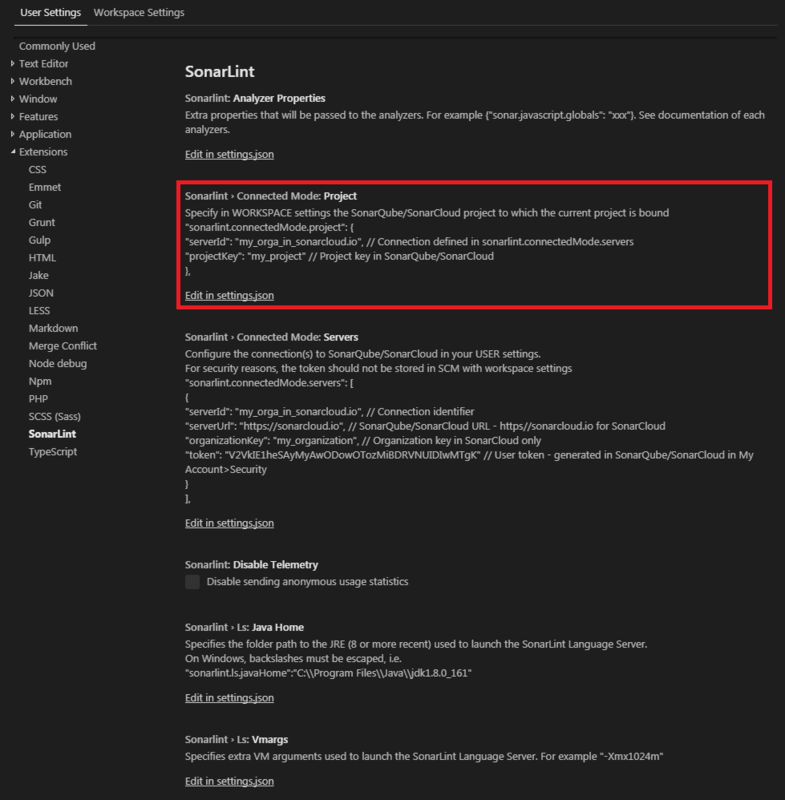 The projectKey is the name of your project in the SonarQube server. Your server binding is not updated. 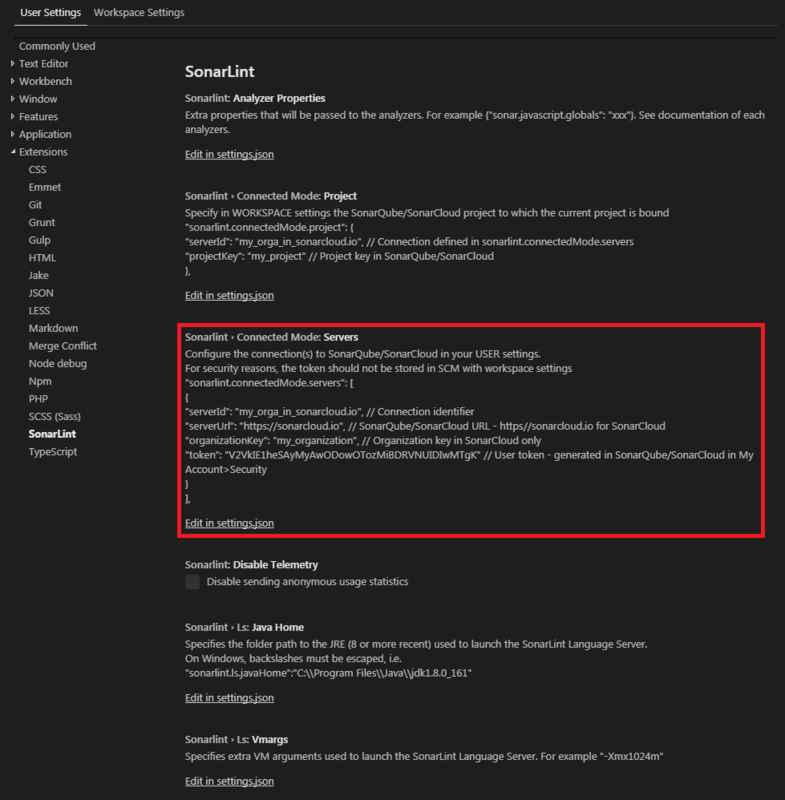 Review the settings.json file and update your server binding.